Childhood is bliss. Everything feels like a fairytale. It therefore makes sense to give your children perfect childhood memories. It could be for their birthday, a reward for good performance at school or just a family day out to bond. This should be easy for you if you are in New Jersey, a state with so many children attractions. You do not have to worry if you are not a resident. You can still visit any of the following children attractions in New Jersey. 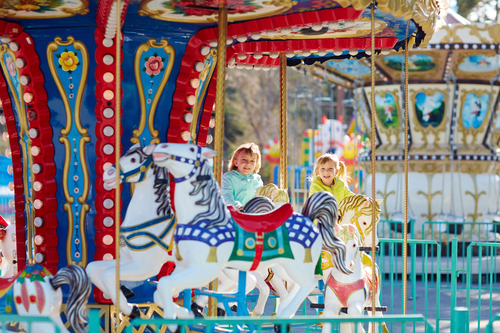 Kidz Village is one of New Jersey’s finest attractions for children. It is an invigorating indoor play center for children under the age of 10. Adults do not need to pay. Filled with several pretend businesses where your little ones can pretend to work and play, Kidz Village will leave your child entertained throughout the day. There is also a massive multi-level indoor play area, a restaurant and an arcade and a ball launching castle. The facility offers an open play throughout the week. Edutainment rooms abound with beauty salons for children. Shops and supermarkets all themed to give your child a memorable experience. Kidz Village also throws special birthday parties in private rooms that are personalized and filled with interactive activities for your child and his or her friends. Its unique location at Point Pleasant Beach in New Jersey makes this attraction stand out. It boasts of activities for both children and adult, so it is by all means a place one can take the whole family for a good time. Mini golf courses, fun games, white sandy beaches, exciting attractions and even clowns are just but some of the perks that make Jenkinson’s Boardwalk stand out. From ice cream and cotton candy to pizza and a wide range of other healthy options, your child will easily fall in love with everything Jenkinson’s Boardwalk has to offer. There is also an aquarium complete with sharks. There are penguins too as well as monkeys, parrots and other interesting and exciting creatures. Children hardly ever say no to water parks. Adults too seem to share the same weakness. So, the next time you visit New Jersey, visit Casino Pier and Breakwater Breach Water Park. It is a perfect summer getaway in the middle of Jersey Shore. It is two amazing parks in one strategic and convenient location in the middle of Seaside Heights. Mini golf courses for children, sky coasters, skill games and so many other activities will keep your children entertained here. There are also mouthwatering delights and snacks, so you can take a break from all the fun and enjoy a meal or share snacks with your young ones. You do not get a chance to sample more than 250 video and skill games all at once every day. So, when the opportunity presents itself, you grab it with both hands. That is what iPlay has to offer. It is simply a child’s paradise with laser tag games, mini bowling, bumper cars and indoor high ropes.